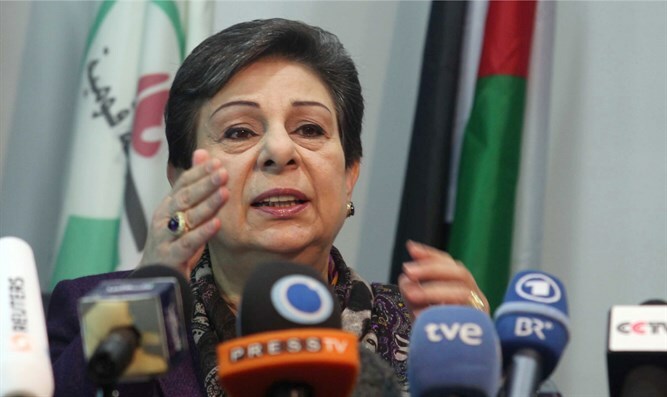 PLO's Hanan Ashrawi denounces Hamas’s decision to sentence a 26-year-old Gazan woman to death for killing her husband. Palestine Liberation Organization (PLO) Executive Committee Member Hanan Ashrawi denounced Hamas’s decision to sentence a 26-year-old Gazan woman to death for killing her husband. “The death penalty is a blatant violation of the right to life, and it should be abolished in Palestine. We call on Hamas to cease and desist from enforcing such a punishment and to abide by Palestine's obligations in accordance with all the [international] conventions and agreements,” Ashrawi said, according to the Ma’an news agency. The woman, from the city of Khan Yunis, was sentenced to death in Gaza at the start of October after a court in Gaza convicted her of premeditated murder of her husband. Hamas, the de facto ruler of Gaza, regularly authorizes executions in cases of serious crimes. While most of those executions have been of people convicted of spying for Israel, the group has also executed people convicted of murder. In theory all execution orders in the Palestinian Authority’s territories must be approved by Palestinian Authority (PA) chairman Mahmoud Abbas, who is based in Ramallah. But Hamas no longer recognizes his legitimacy, and authorities have announced they are planning to carry out a series of public executions despite the moratorium on executions that Abbas announced several years ago. In fact, Hamas emphatically declared several months ago that the death penalty in Gaza can be carried out without the consent of Abbas. “It is imperative that the rights and fundamental freedoms of women are safeguarded,” Ashrawi added, according to Ma’an.